A lot of us at the community of …the house… are readers. Consider, for instance, Susan, a faithful and communicative fellow “house” member. She posted a comment (two actually) after my reading list 2012 post sharing her list for 2012. It’s very impressive, and from her brief and concise notes you can tell she is a close reader. Then there is Pete Denton. Pete is a …house… reader who keeps pace with his own blog, Pete Denton. Pete caught my reading list a couple of years ago (2011 here, and 2010 here–you get the idea.) and this year challenged himself to reading a book in every genre. He called it The Eclectic Reading Challenge. His list for 2012 is here. I applaud his discipline. My reading isn’t so organized as Pete’s. I’m not good at forcing myself to read a book. I used to be good at it. My shelves are full of books I read because I believed a well-read individual should read that book, or this one, or perhaps the one this one refers to, and so on. I still believe that, and I’m glad I plowed through those books. But, as a more mature reader, most of my reading follows the notion that it is best to read the right book at the right time. That is, read the book that finds you, not necessarily the other way around. 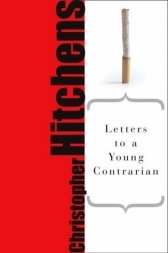 Many years ago while browsing a bookstore in London I picked up Christopher Hitchen‘s Letters to a Young Contrarian. I started it and despite its brevity and marvelous writing, I set it aside. I usually know within fifty pages if the book is going to work for me. Last week, maybe ten years after putting it back on the shelf, I plowed through it in two days. I can’t explain where I am as a reader this year verses ten years past, but the book “worked” for me this time. Over at The New Psalmanazar, another blog I follow, “bibliophile and scribbler [writing] under the alias Ian Wolcott,” claims to have read over seventy books last year. From following his blog, I do not doubt it. He says “If I read a little less this year I might have time to think a little more.” Obviously a lot of books found Ian last year. Let’s hope he can get to more thinking this year, if that’s what he wishes. If for no other reason, you must pick up Prose’s book to see her reading list of “Books to Read Immediately” (page 269). So that settles it. We will read in 2013 and at the end of the year we get together and share notes. 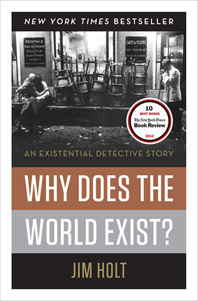 Right now, the next book is Why Does The World Exist? an Existential Dectecitive Story by Jim Holt. 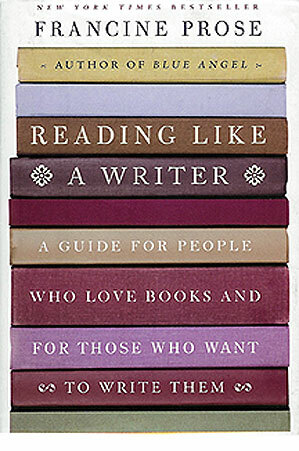 I think it is interesting that The New York Review of Books titles their essay about this book, What Can You Really Know? And if you are not a reader? Change that right now. There is nothing you do, lose weight, be a better spouse, drive a hybrid, stop drinking, start drinking, that will be more important and significant. What to read? There are plenty of lists floating around. I’ve given you a couple. Prose’s list is a great one if fiction is your thing. Drop me a note and I’ll do what I can to steer you in the right direction. But most importantly, get a book on your lap. It makes your brain better and that makes existence better in a fashion faster, and more satisfyingly, than another other method. By the way, side note, the cover to Why Does the World Exist, sports a most excellent photo by Magnum photographer, Dennis Stock. We love those Magnum folks. Amazing reading you do. Really quite something. I am inspired–thank you for that. And thanks for stopping by “the house.” I enjoy your blog very much. I don’t know how amazing it is. I wonder if it isn’t a little pathetic, honestly (though maybe not as pathetic as the guy I recently read about who was shooting for 365 books in a single year). Like you, I just love books. And I enjoy other people’s reading lists too. Ian, I am impressed by your reading selections and educated by the way you store and share the list on goodreads.com. Thanks. Now I am off to google “Prose books to read immediately” in hopes of jumping right to page 269. Doug, I have “Anthologist” and “Battleborn” on my 2013 list following your recommendations.